If you had to pick one of these as a daily driver, which would it be? 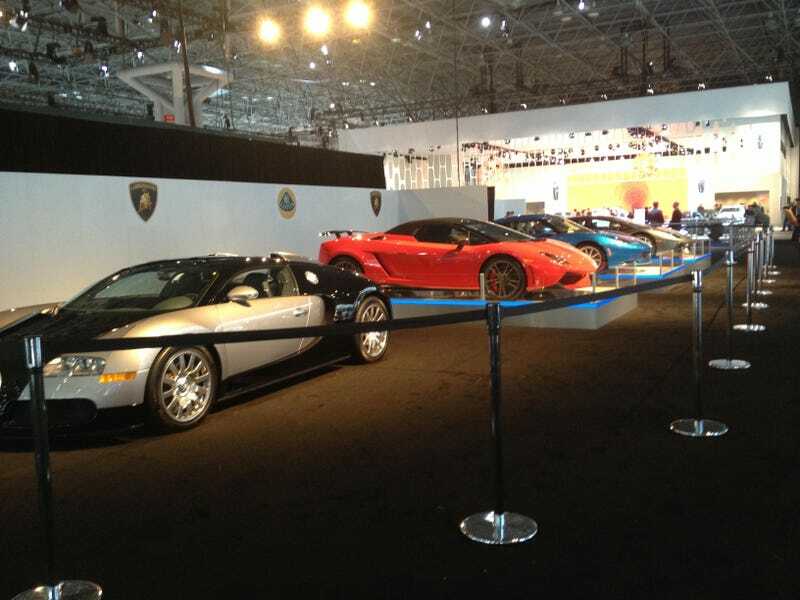 At this stand at the New York Auto Show, we've got a Bugatti Veyron (old blech), a Lamborghini Gallardo Spyder (no one wants to see your ugly face whIke you toodle along) a Lotus Evora S (too soft), and a Lamborghini Aventador (too hard). So if you had to pick one of these as your sole car for the rest of your life, which would it be?